Lee A. Surkin, MD, FACC, FCCP, FASNC is the Chief Medical Officer of N3Sleep. A private practitioner in cardiology, sleep medicine and obesity medicine, he is one of a small group of physicians to be triple board certified in cardiology, sleep medicine and nuclear cardiology. His professional career has evolved from practicing cardiology exclusively to a unique practice model that emphasizes a comprehensive wellness approach by incorporating sleep, cardiovascular and bariatric medicine. In 2009, he created Carolina Sleep – the only dedicated sleep medicine practice in eastern NC. Carolina Sleep is a full-service sleep medicine practice offering in-center and home sleep testing with comprehensive clinic evaluation and management. Carolina Sleep offers a multifaceted approach to treatment including PAP therapy, Provent (1st practice in the state to offer Provent), and a medically supervised weight loss program. He has forged successful relationships with ENTs and dental sleep physicians and has demonstrated leadership by introducing new and innovative testing and treatment modalities. 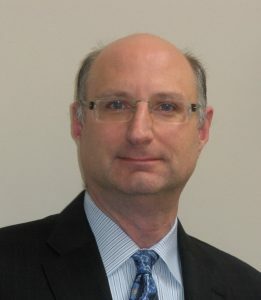 Dr. Surkin has created a cardiovascular and sleep healthcare model that includes a multi-faceted diagnostic and treatment approach that is enhanced by a network of relationships with physicians, dentists, respiratory therapists, sleep technologists and public officials who recognize the important role that sleep medicine has in our daily life. 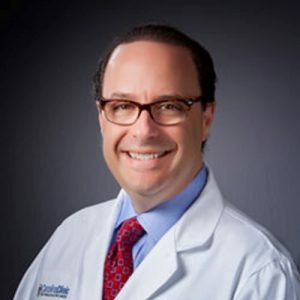 In 2012, Dr. Surkin founded the American Academy of Cardiovascular Sleep Medicine which is a not-for-profit academic organization dedicated to educating healthcare providers, supporting research and increasing public awareness of the convergence between cardiovascular disease and sleep disorders. In 2014, Dr. Surkin created a new multi-specialty practice called Carolina Clinic for Health and Wellness which combines his specialties with primary care, gynecology, behavioral health and a medical spa. Dr. Surkin is married with three daughters and two dogs and resides in Greenville, NC. 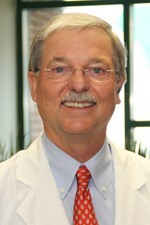 Richard K. Bogan, MD, FCCP, FAASM is Associate Clinical Professor at the University of South Carolina School of Medicine in Columbia, SC and Medical University of SC in Charleston, SC. He is the Chief Medical Officer and a Director of SleepMed Inc.. He is one of the founders of SleepMed, the largest sleep diagnostic company in the U.S. Dr. Bogan received his medical degree from the Medical University of South Carolina in Charleston, South Carolina. He completed his Internal Medicine residency at the University of Alabama Hospitals and Clinics and his Pulmonary, Critical Care fellowship at the University of Alabama School of Medicine, both in Birmingham, Alabama. Dr. Bogan is board certified in sleep medicine, pulmonary medicine and internal medicine with previous certification in critical care. He has served as the medical director for several hospital departments and serves on various business, community, and civic boards. He has dedicated the majority of his medical career to creating standards of excellence in sleep disease management. In addition to operating a Columbia-based, 9-bed, accredited sleep center, he has been involved in numerous clinical research trials and has published numerous articles in sleep medicine. He has been a consultant to the pharmaceutical and device industry and has lectured in international, regional and national meetings. Dr. Jerry Kram is the medical director of the California Center for Sleep Disorders which he founded in 1980 as one of the first free standing centers in the country and now has 8 locations. He received his medical degree from New York University School of Medicine graduating with honors. He then went to the University of California San Francisco where he trained in Internal Medicine, Clinical Pharmacology and Pulmonary Medicine. He is board certified in internal medicine, pulmonary medicine and sleep medicine. He has lectured extensively around the country on sleep disorders helping to advance the awareness of sleep disorders. He has conducted many clinical trials of treatments for various sleep disorders and published articles and chapters on this topic. He is on the faculty of the School of Sleep Medicine at Samuel Merritt University and a member of the Board of the National Sleep Foundation. He lives in Northern California with his wife and has 5 children and 9 grandchildren. 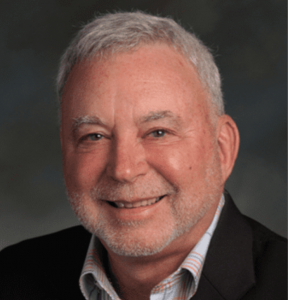 Dr. Hickey is the founder of the Colorado Sleep Institute (formerly Rem Sleep Medicine PC), which was established in 2010 to provide truly comprehensive care for the full spectrum of sleep disorders. Dr. Hickey is a Mayo-trained Neurologist and is both fellowship-trained & board-certified in Sleep Medicine. He is devoted to the full-time practice of Sleep Medicine. After graduating from the University of South Florida College of Medicine, Dr. Hickey pursued a residency in adult Neurology at Mayo Clinic Arizona. Thereafter he completed a fellowship program in Sleep Medicine at Louisiana State University Health Sciences Center in Shreveport. 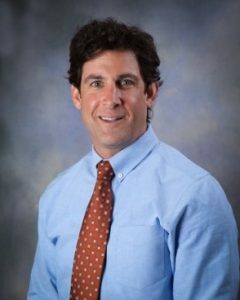 Dr. Hickey was an Assistant Professor of Sleep Medicine in the Department of Neurology at Louisiana State University Health Sciences Center prior to founding the Colorado Sleep Institute in 2010. At the American Academy of Sleep Medicine, Dr. Hickey serves in three capacities: consultant to the AASM Health Policy Strategy Presidential Committee, Welltrinsic Board member, and AASM legislative liaison. At the Boulder Valley Individual Practice Association, he is both a Board member and Credentials Committee member. At the Boulder Valley Care Network, he serves as a Board member. He is an active member of the Colorado Medical Society and Boulder County Medical Society. When not working, Dr. Hickey enjoys spending time with his family camping, hiking and fishing. Dr. Mark Rasmus, Medical Director of Idaho Sleep Health, obtained his bachelor’s degree from Dartmouth College and his medical degree from St. George’s University School of Medicine. He completed a combined residency in internal medicine and pediatrics through Albany Medical Center in New York, followed by a pulmonary/critical care fellowship at the University of Utah and a sleep medicine fellowship at LDS Hospital in Salt Lake City, Utah. Dr. Rasmus is board certified in pediatrics, internal medicine, pulmonary medicine, critical care and sleep medicine. Dedicated to public education about sleep matters, Dr. Rasmus has appeared on television and frequently speaks to community groups and physicians. He has conducted clinical research and has published articles in sleep disordered breathing and CPAP humidification. Further research projects focused on the relationship between cardiovascular disorders and sleep disordered breathing. His expertise allows the Idaho Sleep Health staff to deliver the best possible care to patients of all ages with sleep disorders. On a national level, Dr. Rasmus is a member of the American Academy of Sleep Medicine, the American College of Chest Physicians, the American College of Physicians and the Society of Critical Care Medicine. In 2007 he was awarded an appointment at the University of Washington Department of Medicine as a Clinical Instructor. In his free time, Dr. Rasmus enjoys skiing, white-water kayaking, mountain biking, rock climbing, hiking, gourmet cooking and traveling. 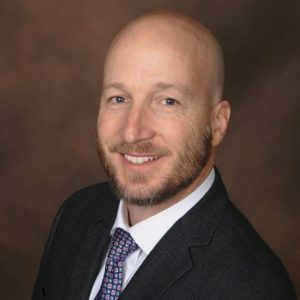 Dan is an accomplished corporate and healthcare attorney who regularly advises clients on the legal and regulatory aspects associated with the operation and sale of heath care businesses. He represents a variety of sleep medicine providers, durable medical equipment suppliers, medical device manufacturers, physician groups, health care franchisors and health systems on structuring health care business operations and maintaining regulatory compliance with the Stark laws, Anti-Kickback Laws and HIPAA. An experienced corporate lawyer, Dan advises health care providers in mergers, asset acquisitions, and joint ventures. He is a frequent speaker and author on the legal aspects of sleep medicine, home medical equipment, and other health law matters. Dan served as Treasurer and a member of the Executive Committee of the National Sleep Foundation. He is on the Faculty of the Atlanta School of Sleep Medicine and Technology and on the Editorial Advisory Board of Sleep Review Magazine. He is a member of the American Academy of Sleep Medicine, the American Health Lawyers Association, and the Health Law Section of the Georgia State Bar. Myra has more than 30 years of experience managing, consulting, directing and developing business opportunities for health care companies, device manufacturers, health insurers, entrepreneurs, and individual health care providers. She received an MBA in Healthcare Administration from the Wharton School, University of Pennsylvania, and began her career with Hospital Corporation of America (HCA). She later served as the Chief Operating Office of The Bill Wilkerson Center of Vanderbilt University. 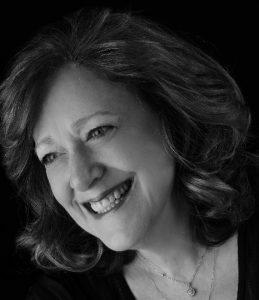 After relocating with her family from Nashville to Atlanta, Myra established her consulting practice, where she works developing strategic business, branding and marketing plans for companies ranging from new business start-ups to multinational entities. For the past 12 years, she has focused on the consumer sleep market, interacting with the media, engaging with consumers, retailers and providers through product development, branding, licensing, public relations and social media. For 8 years she served as president and cofounder of License to Sleep, a product and brand licensing company offering scientific development and professional endorsement of a wide array of sleep products and services. Myra and her husband are parents of three adult daughters and are avid Atlanta Braves fans. They live in Sandy Springs, GA.